Straight Spruce members with CF reinforcement to top and bottom. 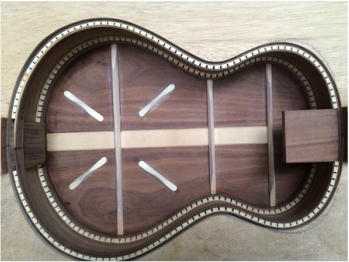 Such as Venetian or Florentine cutaways, scoop cutaways and modified heel shapes. Such as 8 String Ukulele or Double 'G' string. 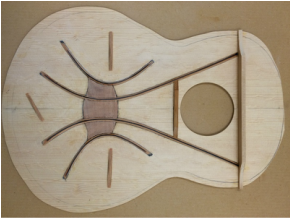 Pictured is a double 'G' string option which can be set to play as a pair or individually.